On endless sandy beaches, take big breaths of sea air and let your cares fly away with the wind. In Zandvoort and Scheveningen you will stay the night almost directly by the sea. Behind the dunes you’ll discover a diverse hinterland with multicoloured bulb flower fields, lovely historical towns and all sorts of tourist attractions. If you like art and culture, you’ll have a ball in the cities of Amsterdam, Utrecht and The Hague. On your bike, you’re free to stop where you want, to visit a windmill or a cheese dairy, for instance. You’ll have ample opportunity for (window) shopping and visiting museums. 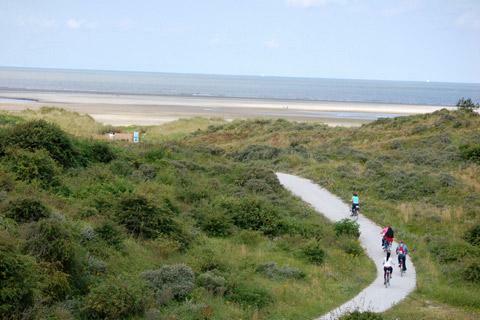 The terrain on this cycle tour is mostly flat except in the undulating dunes. As on all our carefree bike tours, we provide luggage transfer and excellent accommodation.